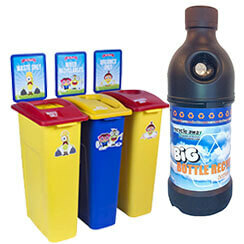 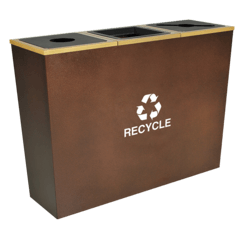 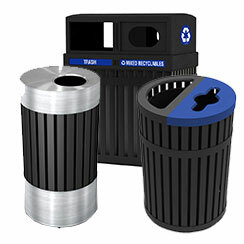 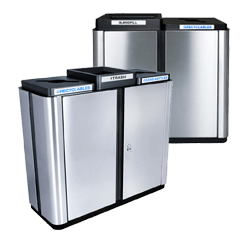 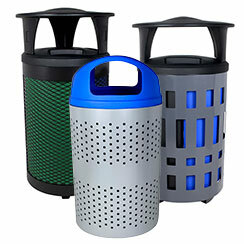 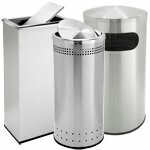 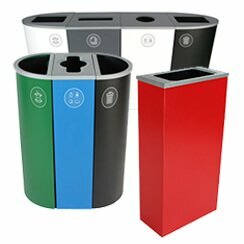 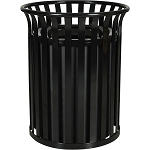 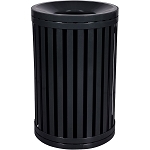 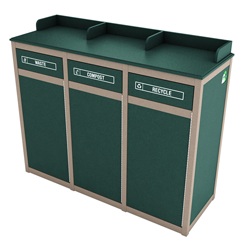 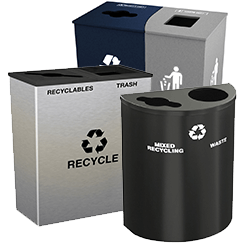 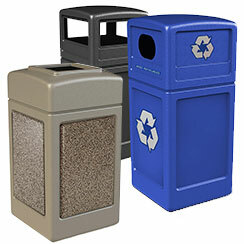 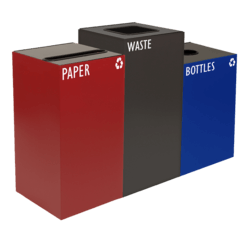 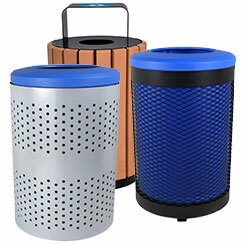 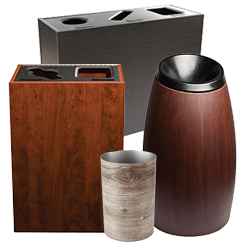 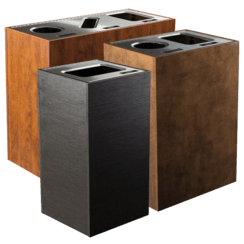 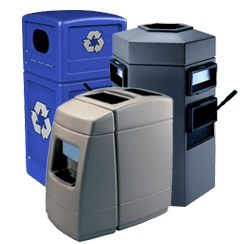 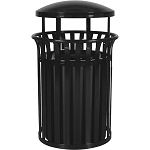 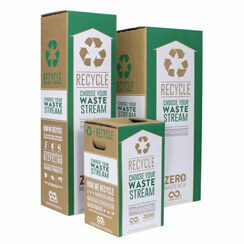 The NEW Streetscape Classic Series Recycling Receptacle is the perfect complement to our Streetscape waste receptacles. 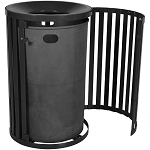 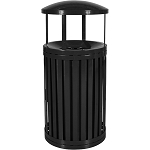 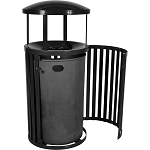 The heavy duty all steel 35.5 gallon capacity outdoor receptacle is available with or without a rain canopy. 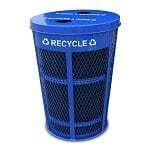 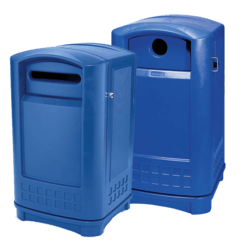 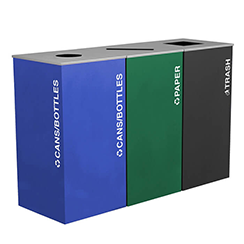 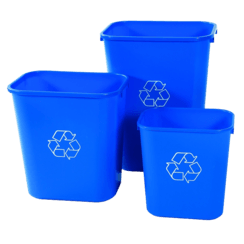 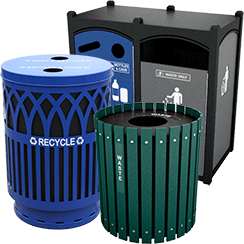 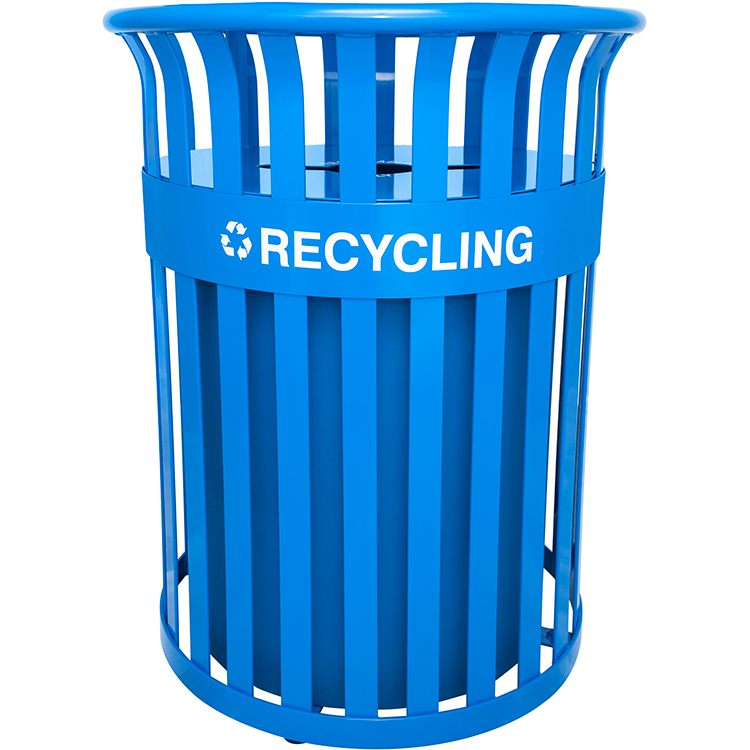 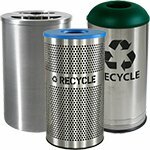 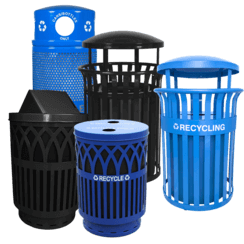 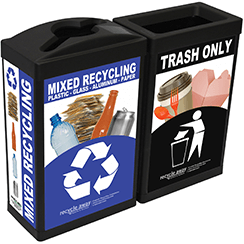 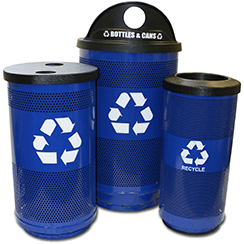 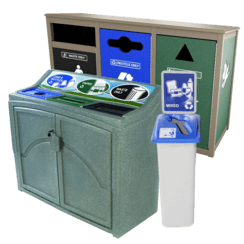 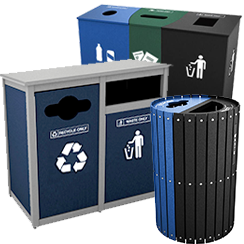 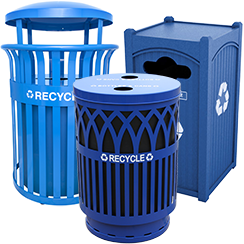 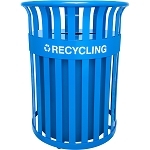 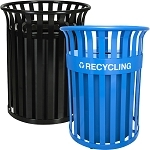 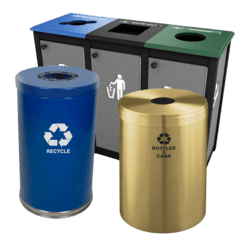 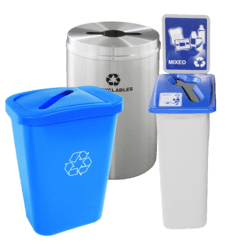 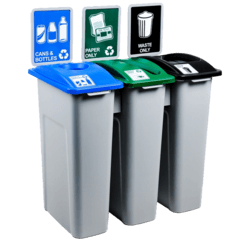 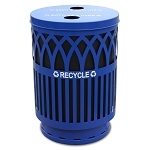 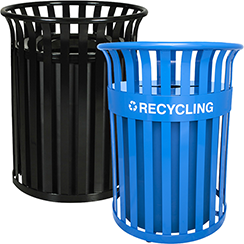 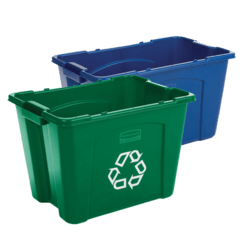 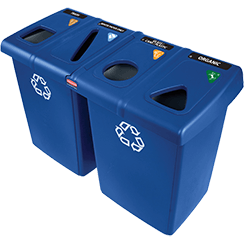 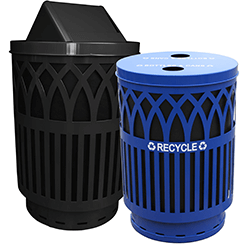 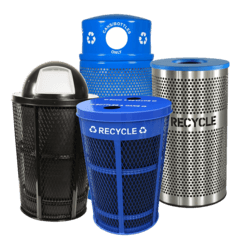 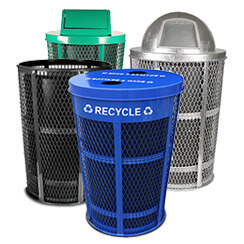 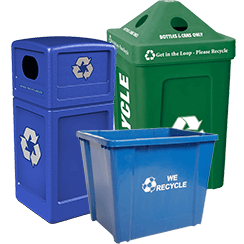 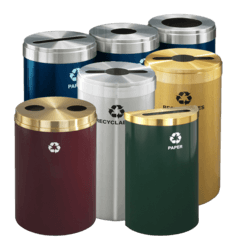 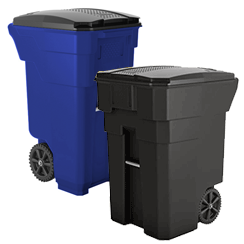 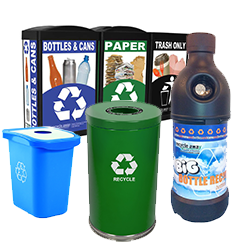 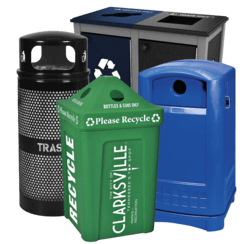 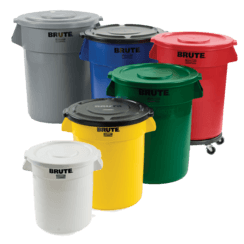 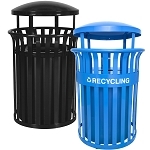 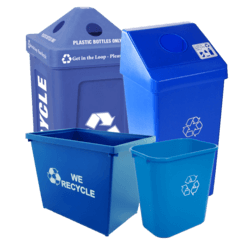 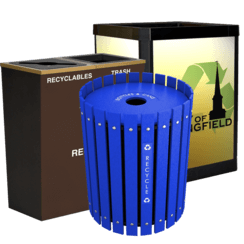 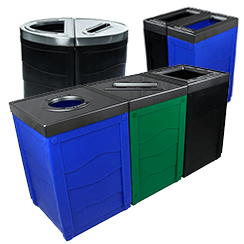 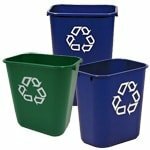 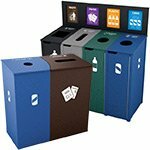 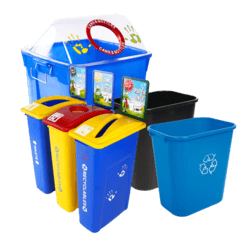 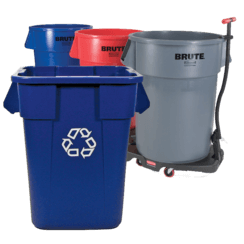 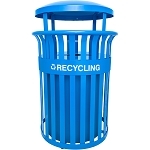 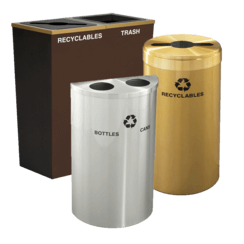 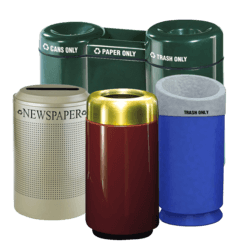 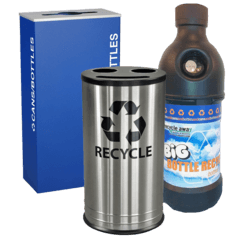 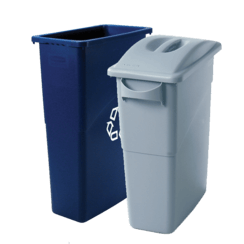 The color matched removable LLDPE plastic liner with lift openings meets UL94 Flammability standards and complements the Recycle Blue gloss finish of the receptacle. 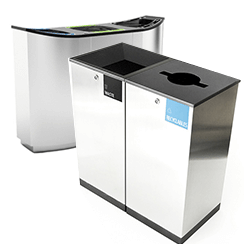 Adding the new StreetscapeÖ Recycling Receptacle to an outdoor space will immediately identify the efforts to separate recyclable waste.